EVERY SO OFTEN A HOME COMES UP THAT IS IN PERFECT CONDITION AND LOADED WITH UPGRADES, YOU JUST SIMPLY HAVE TO HAVE IT... AND THIS IS IT! 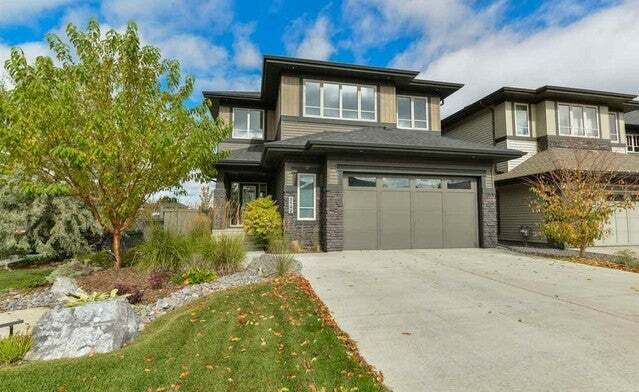 $200,000 in upgrades has been spent on this one of a kind custom built home. From the water proofed foundation to the professional landscaping to the 3 zoned heating and cooling system. 3 bedrooms plus bonus room upstairs and a INLAW/NANNY SUITE IN THE BASEMENT that features a 4th bedroom, 4pce bathroom, kitchenette, 2nd laundry, dining area and living room. This home is super bright and open and has an abundance of oversized triple pane windows. The main floor has a massive kitchen with dual built in fridges, 36" gas range, island with apron front sink and waterfall edge. There is a prep kitchen with more custom cabinetry, wine rack, built in blender & a KEGERATOR! Upstairs is highlighted by a master suite with a dream en suite and large walk in closet. There is even underground sprinklers! Walking distance to the new K-9 school opening this fall and all amenities.